By far, one of the most economical thing you can do is a Re painting of parking spot lines, which will make any parking lot look cleaner, brighter and safer. We start our most popular service with a complete parking lot Prep Washing, which includes washing all curbing, parking stall lines, parking bumpers and walk ways (During this stage, many clients opt to wash their building also). After everything has dried, often by the next day, we then sweep and blow the whole parking lot. We than apply line paint to all areas, including: Cross walks, speed bumps, parking stalls, handy cap spots, loading zones, curbing, directional arrows and more. With this service we can provide a two year guarantee. 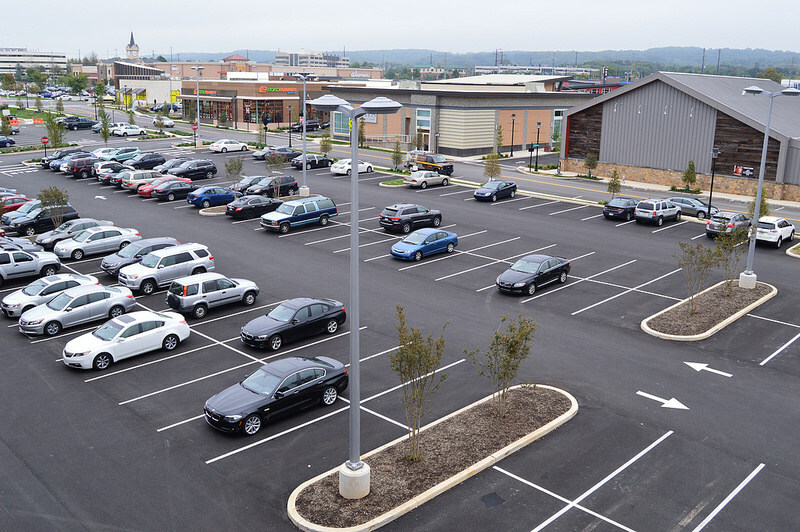 Properly painted parking lots, look good and help with the flow of traffic and pedestrians, reducing accidents and traffic congestion.